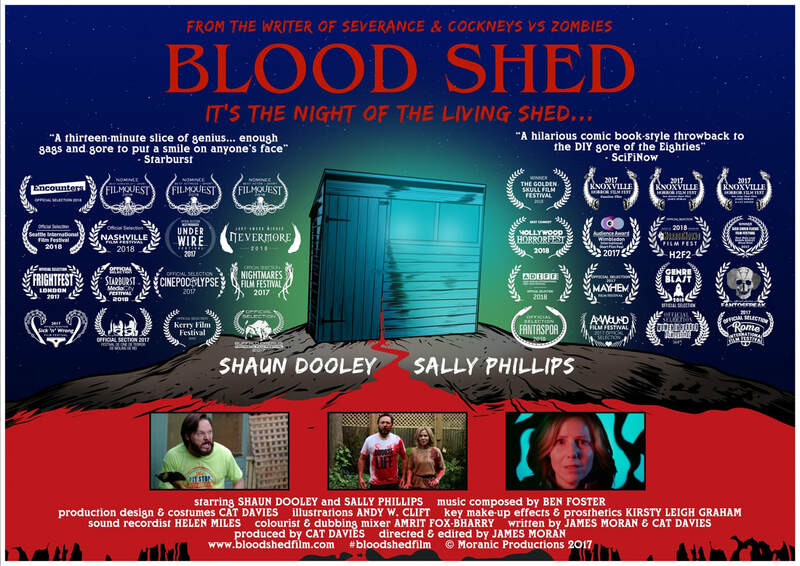 Starring Shaun Dooley and Sally Phillips, Blood Shed is now playing film festivals internationally! Blood Shed is a dark and twisted but laugh out loud comedy, with a Creepshow look and sound, synthesizer music, LOTS of Evil Dead-style blood, and comic book panels. It’s a love letter to 80s horror anthologies, while telling a bizarre new tale with a unique monster. Shot in April 2017 in London, following a very successful Kickstarter campaign, #nightofthelivingshed is very much alive!